Our goal is to connect people with the best local experts. 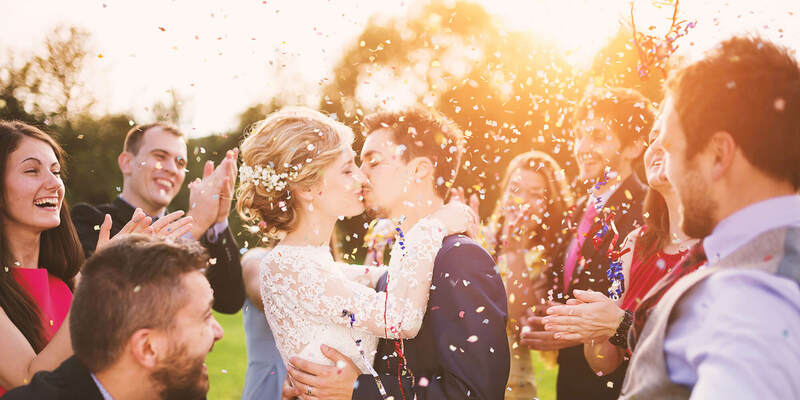 We scored wedding photographers on more than 25 variables across five categories, and analysed the results to give you a hand-picked list of the best wedding photographers in Columbia, SC. Brooke Amelia Photography takes moments and turns them into unforgettable memories. The studio specializes in photographing weddings in Columbia, SC, but is available locally for portraits and events and will travel for destination weddings. Based in Blythewood, SC, Custom Creative Photography utilizes an artistic style to bring wedding photos to life. Custom-made photo albums for family pictures and high school senior portraits are also a part of the studio’s specialty. In addition to all this, they also photographs engagements, bridal shots and boudoir sessions. Darling Lilly Photography has captured photojournalistic images of Columbia, SC weddings, couples, families, and expecting mothers for nearly a decade. The company has also photographed many lifestyle and child portrait sessions. Customers love that the team is punctual, creative, genuine, and extremely skilled. The images of Forrest Clonts Photography come from the artistic approach to weddings, family portraits, and food. The company also travels and is involved in editorial photography. They dedicate a special style to candid wedding day photos, working in the Columbia, South Carolina vicinity. Since 2011, Idol Image Media Group LLC has served the greater Columbia, South Carolina region. The team focuses on taking high-quality headshots, wedding photos, and family images. The studio is detail-oriented and customizes packages to accommodate individual needs. Jessica Hunt Photography is a wedding and lifestyle photography studio based out of Columbia, SC. Lead photographer, Jessica brandishes an artistic style that has delighted customers across the Southeast, offering a variety of work from small portrait shoots to large wedding packages and online scheduling. Established in 2010, JMB Photography is led by a talented Columbia wedding photographer that takes photos of intimate weddings, blushing brides, newborns, cute kids, and happy families. Located in Lexington, South Carolina, JMB Photography also serves customers the surrounding regions, from North Carolina to Georgia and beyond. John Karasch Photography specializes in capturing timeless images of Aiken weddings, portraits, and equestrian events. The studio opened in 2011 and serves customers from Columbia to Augusta, and is available to travel for destination weddings. Joshua Aaron Photography shoots stunning wedding photos and modeling headshots. The studio also offers photo booths for events as a fun way to be interactive with guests. The booths have a digital option where photos can be shared immediately to social media platforms. The studio serves Columbia, South Carolina, and the surrounding areas. Kadie Austen is a Columbia wedding photographer who opened her studio in 2011. In addition to weddings, she specializes in photographing engagements, bridal portraits, and personal headshots for clients throughout the Columbia, South Carolina region. Landon Jacob Productions creates magnetic images for portraits and weddings. The company has been featured in many magazines and websites, including Martha Stewart Magazine, Southern Weddings, Snippet & Ink, Once Wed, Style Me Pretty, Charleston Weddings, and many others. The studio works primarily out of Columbia, South Carolina, but is available to travel worldwide. Lola Dee Photography specializes in taking candid, non-choreographed images of weddings, engagements, and families. Though based in Lexington, SC, Lola Dee Photography covers areas from Greenville to Charleston and is even available to travel outside of South Carolina for destination weddings. Established in 2013, Mark Green Studios focuses on weddings in Columbia, South Carolina. The team also specializes in fashion shoots and family and child portraits. Past clients have praised the quality of the studio's work. Nicole Caudle is a destination wedding photographer who opened her studio in 2005. Although based in South Carolina, the fine art photographer takes timeless images all around the world, including New York City and Paris. Nikki Morgan Photography, LLC takes detailed and artistic photos with a natural appeal. Since 2012, the company has captured Cayce and Columbia engagements, weddings, and portraits. Nikki Morgan Photography specializes in natural light photography, giving images a more realistic appeal. The studio is available to travel for destination weddings. One Moment One Shot Photography is a wedding and portrait studio in Columbia, South Carolina. The studio also offers business and senior portraits, and even a photography course for parents interested in learning to take decent, candid shots of their children! They have won the 2014 Reader’s Choice Award from the Savannah Morning News and Wedding Wire's Couples’ Choice Award in 2015. One Moment One Shot Photography has also been featured in Style & Redefine Magazine, Senior Study Hall, Modern Jewish Wedding, and The Knot. Established in 2011, Piece Of Py Photography has gathered an unbeatable team of artists to develop high-quality photographs. From Columbia, South Carolina, the group is comprised of a photographer, a videographer, and a makeup specialist, who collaborate to design the best wedding, engagement, and boudoir shots for clients. With an eclectic mix of bridal, intimate wedding, and lifestyle images, Tanya Waller Photography captures images in Columbia, South Carolina that appeal to an array of customers. The company has a primary focus on the small details, and uses a photojournalistic style to capture the candid moments of their clients' weddings. Travis Bell Photography has captured over 400 weddings and photographed countless portraits, vivid images, and unforgettable landscapes. The studio's wedding, sport, and lifestyle images have been featured on LIFE, ESPN, US, Sports Illustrated, and Entertainment Weekly. Travis Bell Photographers have also taken photos for the NASCAR Spring Cup Series, NCAA Final 4, NFL, and NBA playoffs. The company travels throughout the Southeast for events. Troy Browder Photo photographs weddings in Columbia, South Carolina, and the surrounding areas. Since 2013, the studio has also documented music festivals, sporting events, and engagements. Troy Browder Photo also journeys to other states to capture artistic travel photos and destination weddings.